LA PUENTE >> Deputies arrested six suspects in a series of San Gabriel Valley robberies and carjackings after they crashed a just-stolen car in Chino late Tuesday, authorities said. The incident began just after 9:10 p.m. when a woman was carjacked in front of a home in the 800 block of Greycliff Avenue, according to Deputy Juanita Navarro-Suarez of the Los Angeles County sheriff’s Information Bureau. The woman told deputies she had just arrived home when she was confronted by a group of carjackers, “one of whom was armed with a baseball bat,” Navarro-Suarez said in a written statement. The carjackers threatened to retrieve a handgun if the woman refused to turn over her vehicle, and she complied out of fear for her safety, the deputy said. The group of carjackers then fled in her car. 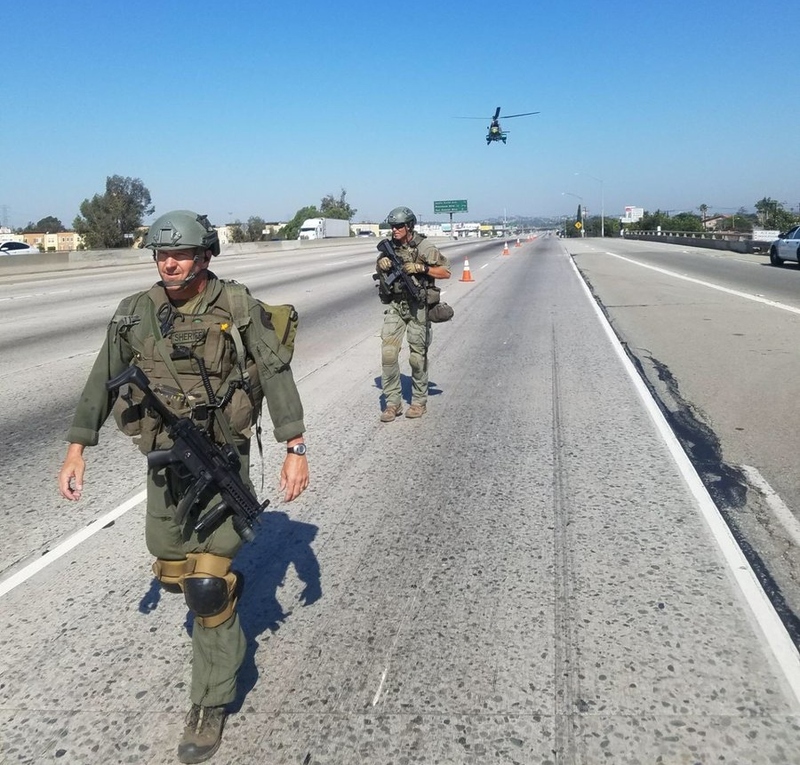 Deputies spotted the carjacked vehicle moments later in the area of the 60 Freeway and Fullerton Road in Industry, she said. 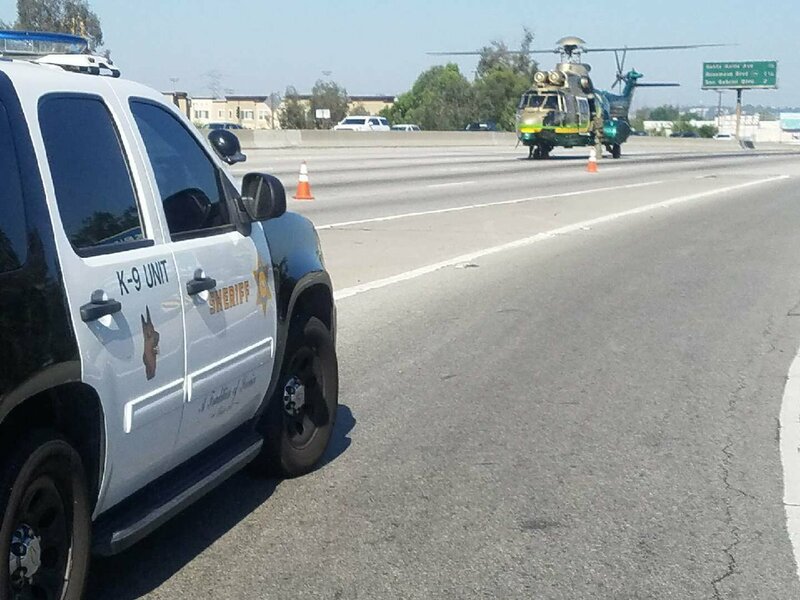 They initially gave chase on the 60 Freeway, but soon cancelled the chase and followed the fleeing vehicle via helicopter only “due to excessive speeds,” Navarro-Suarez said. The vehicle continued speeding east before ultimately crashing at Euclid and Merrill avenues in Chino. All six suspects ran from the crashed car but were soon apprehended by deputies during a search of the area. Brian Mendez, a 20 year-old national of El Salvador and Christian Lucero, an 18 year-old national of Honduras, were booked on suspicion of carjacking, officials said. They were being held in lieu of $100,000 bail each. Four juvenile suspects, two boys and two girls, were also arrested and taken to a juvenile hall, Navarro-Suarez said. They were described as nationals of El Salvador, Mexico and Honduras. While continuing their investigation, deputies noticed a second car parked near the scene of the La Puente carjacking which had been reported stolen in Texas, where all six suspects are believed to live, according to Navarro-Suarez. “It is believed that the six suspects abandoned the stolen vehicle during the time of the carjacking,” she added. The stolen car from Texas matched the description of one used in a series of recent robberies in the La Puente and Rowland Heights areas, officials said. Further details regarding the spate of robberies were not available late Wednesday. ALHAMBRA >> Two Pico Rivera men robbed and tried to carjack a man and woman at gunpoint when they caught them burglarizing her car in Alhambra before police found and arrested them nearby early Saturday, authorities said. The crime took place about 12:30 a.m. in the 500 block of South Almansor Street, Alhambra police Sgt. Ruben Soriano said. A woman and man saw two men rifling through the woman’s car, the sergeant said. “Then the victims confronted the suspects, one suspect brandished a handgun and the other suspect brandished a knife,” police said in a written statement. “They stole one victim’s purse and tried to take the victims’ car keys,” according to the statement. Police found the two suspects about 45 minutes later, two blocks away, after a resident called police to report two suspicious men in a backyard in the 400 block of South Cordova Avenue, police said. Steven Perez, 21, and Anthony Bruno, 19, both of Pico Rivera, were booked on suspicion of robbery and attempted carjacking. A search of the area during daylight hours turned up a replica handgun with its orange tip removed, which police said they believed was the gun seen by the victims. According to county booking records, Perez and Bruno were being held in lieu of $100,000 bail each pending their initial court appearances, scheduled Wednesday in the Alhambra branch of Los Angeles County Superior Court.